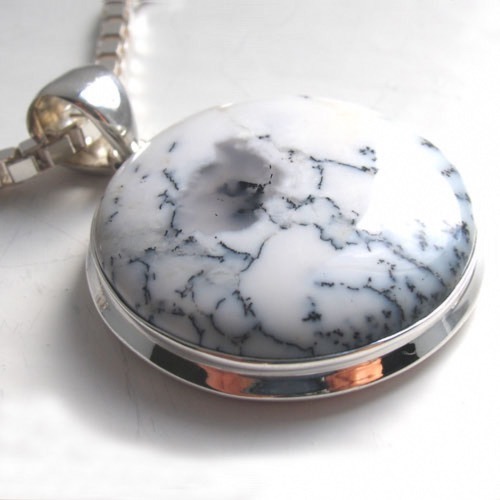 Round dendritic agate pendant set in sterling silver. 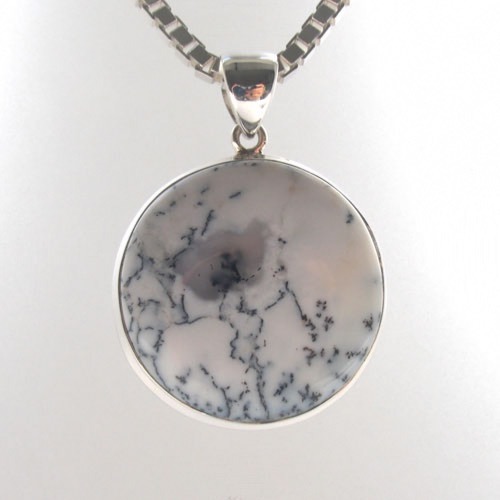 This is premium quality dendritic agate showing the gemstone at its beautiful best. 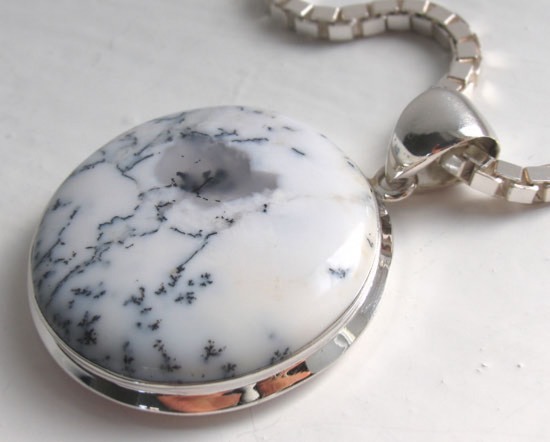 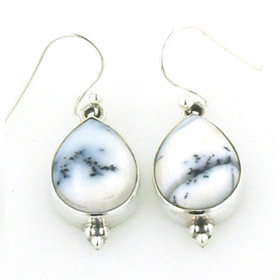 Dendritic agate is an unusual semi-precious gemstone and once seen, never forgotten. 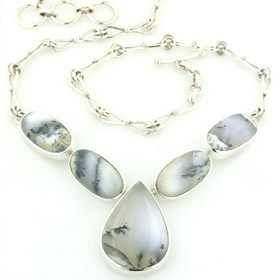 Each piece is unique and combines white, greys and charcoal into the most beautiful designs often depicting a snowscape. 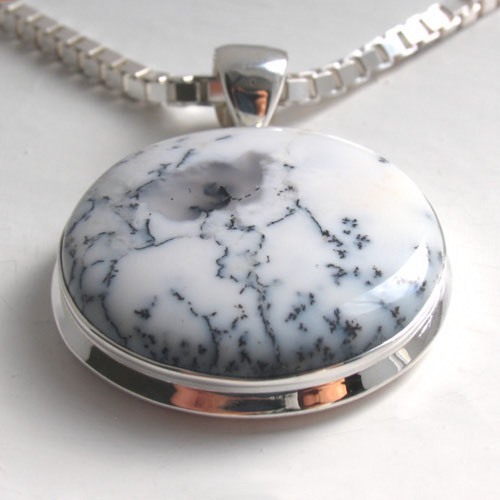 This is a beautiful example of dendritic agate and a large pendant which will look great worn high at choker length or low on a long chain. 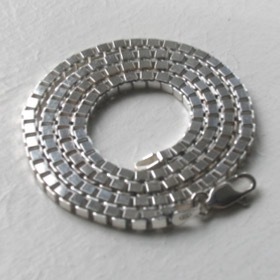 The bale is capacious enough to take a substantial chain. 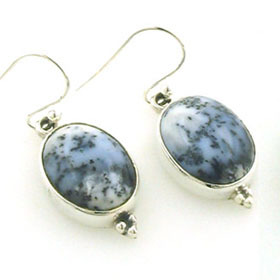 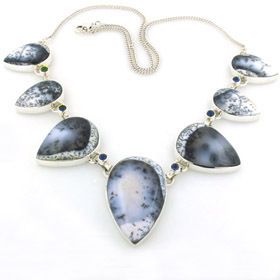 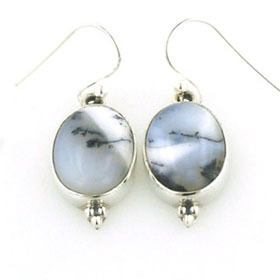 Our dendritic agate jewellery collection also includes dendritic agate earrings and necklaces. We liked this dendritic agate pendant with our diamond cut box chain, width 3.1mms which adds wonderful sparkle to the pendant. 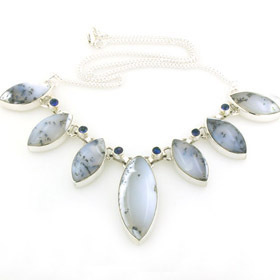 For your ideal sterling silver chain to show off this pendant see our collection of Italian sterling silver chains.